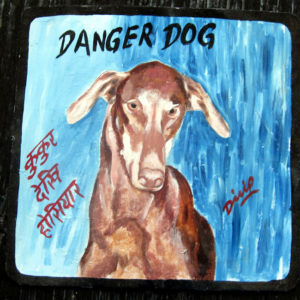 A manical look in Bindi’s eyes really makes this one by Sagar special. 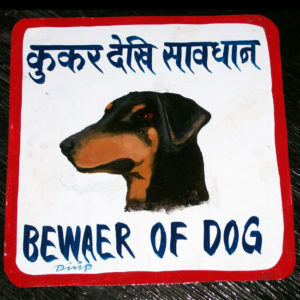 This is a classic Beware of Dog sign featuring a Doberman Pincher with unclipped ears. 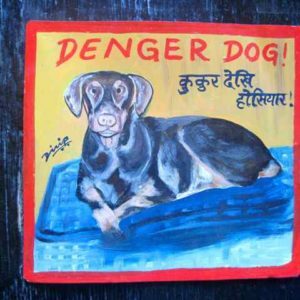 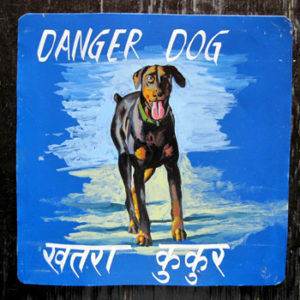 Another classic Danger Dog from Nepal. 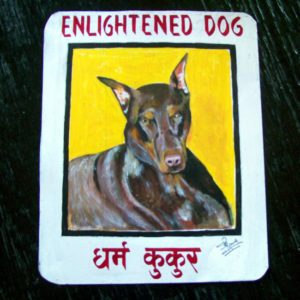 This is similar to what inspired the project in the first place. 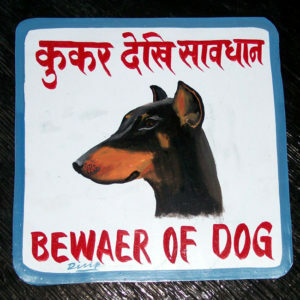 This will keep burglars at bay. 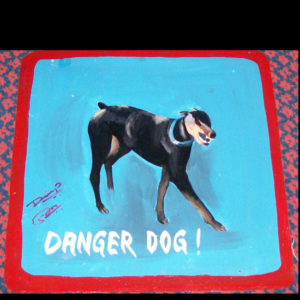 Dustin the Doberman was an old dog when this photo was taken. 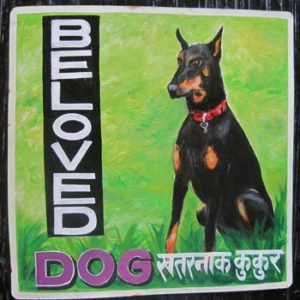 Sagar Bitsa hand painted this portrait of the lovely and beloved Gabby the Doberman Pinscher against a colorful background. 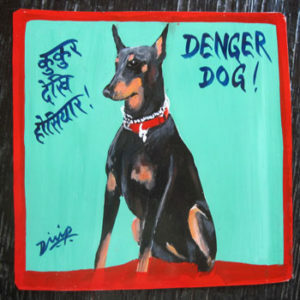 This is a truly folk art rendition of a beautiful black and tan Doberman lovingly hand painted by the artist Dilip Niroj. 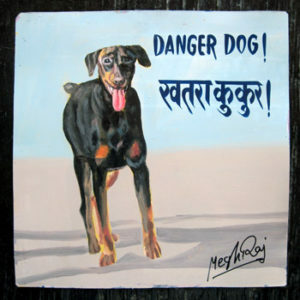 Megh Raj Thapa hand painted this portrait of the lovely Uschi the Doberman Pinscher on metal. 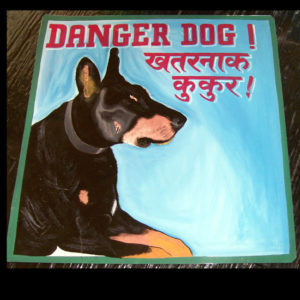 Nara hand painted this lovely Doberman Pinscher on metal. 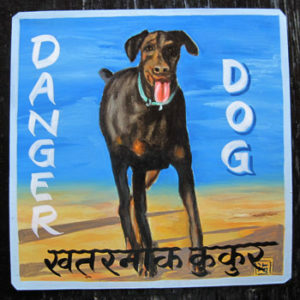 Sagar Bitsa hand painted this portrait of Uschi the Doberman on metal as Uschi frolics on the beach. 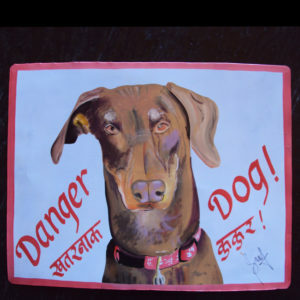 This portrait of Valki the Doberman Pinscher is 15" by 12" across. 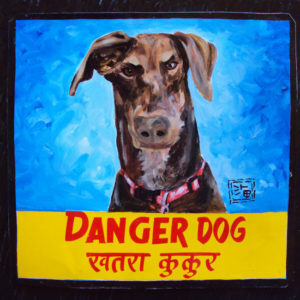 Sanjib uses acrylic paints and thus his art is not to be used outdoors.